Our little Hazy toddler princess baby girl broke her arm in two places while playing on the playground at LEGOLAND. 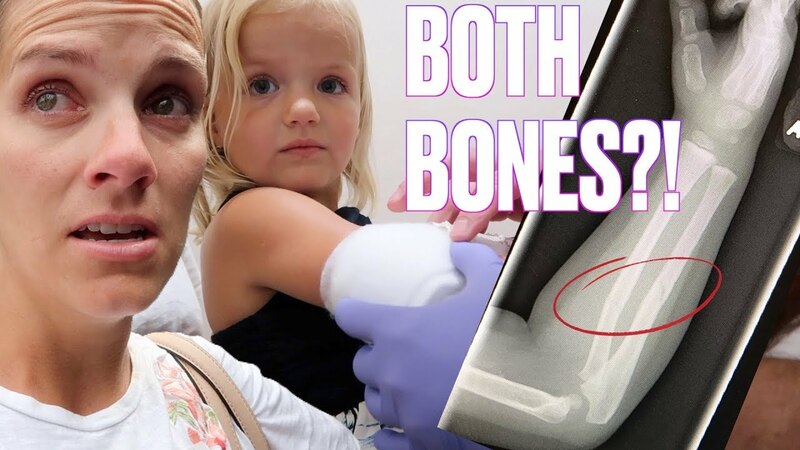 Both bones in her right arm are broken. We hoped for the best but feared the worst. To be honest I think we expected the best and never imagined the worst. But this was as bad of news as we could have expected in this situation. I’m stunned. We are shocked. There’s something extra tender about your little baby girl, your precious three year old toddler full of life and energy, breaking her arm and being in so much pain and not being able to do anything about it! It breaks my heart but she is AMAZING! Her personality is bubbling at an all-time high and her spirits have never been higher. I am simply amazed at her resilience and her ability to bounce back as if nothing has happened at all! She will be in a splint for the next few days as we travel home from vacation. When we get home she will meet with a pediatric orthopedic specialist and get a plaster hard cast (a pink one) that she will be wearing for a few weeks or even months. Stay tuned for daily updates on her progress and recovery.